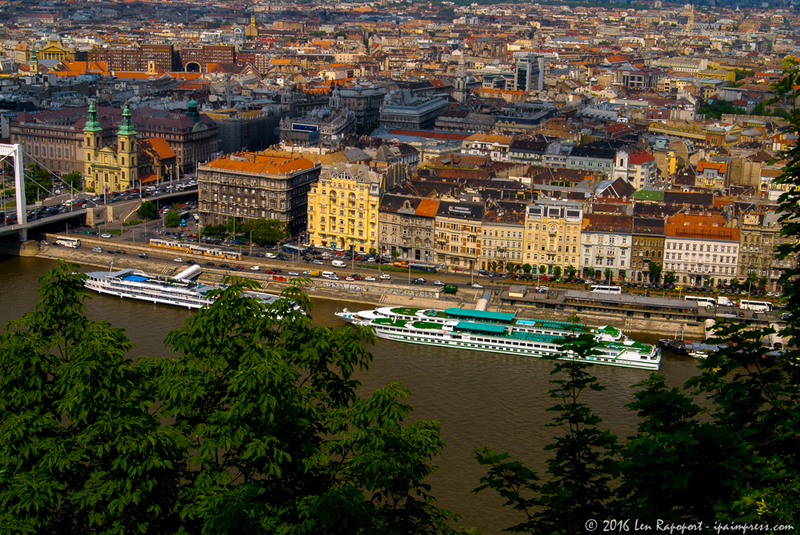 The first day in Budapest was one to recharge our batteries. I was so tired I fell asleep soon after we arrived and slept through to the following morning. I think I slept a total of 16 hours and felt rested when I awoke at 6 AM their time. I shot photos from our window as the sun came up and at 7:30 AM we went to their complimentary breakfast, which was also wonderful and just what we needed after such a long trip. I love international hotels that offer breakfast, it makes it so much easier on the guest then going out on an empty stomach looking for a place to dine. Kudo’s to Marriott, where we stayed, great accommodations and great breakfast. 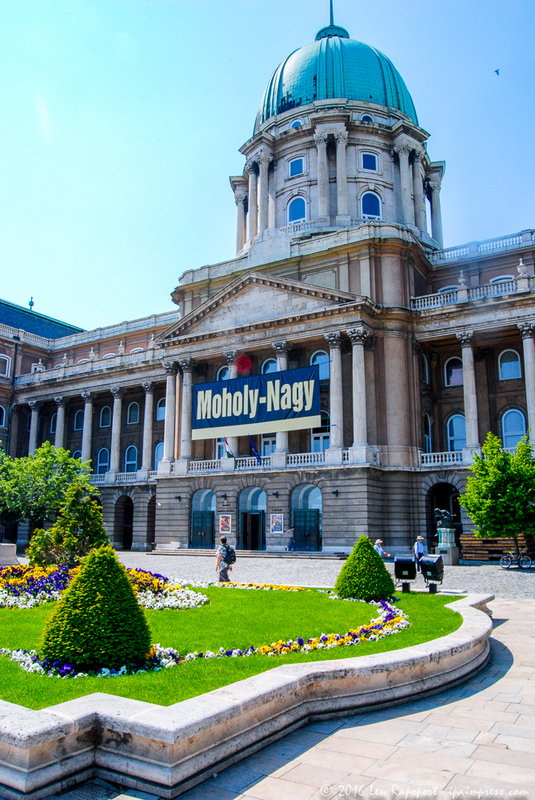 Well, we were ready to go and we wanted to get an overall idea of the key tourist attractions in the city, so we called upon the nice people at City Tours Budapest. They operate the Hop On and Hop Off tours that enabled us to see the best of both Buda and Pest and get a sense of where we wanted to spend a bit more time. We especially want to thank the two women Niki & Danka at City Tours that arranged for our complimentary passes…both Niki and Danka can be seen in our photos here, and as you can see they were wonderful and both were way cute too. When you visit them make sure to let them know that you read about them on our website. As we rode through this wonderful old city we were impressed with all the beautiful buildings and old world architecture. This is one thing you won’t find in the United States, but it is not uncommon in most European cities. It is so wonderful to view buildings that are hundreds of years old and have been maintained and cared for instead of torn town to make room for larger and unattractive buildings. If you are a photographer as I am, you will find the camera is always in the ready position, there are just so many wonderful photo opportunities. The bus will get you into and near the most visited attractions in the city, so it is a good place to start your visit. We have linked to web sites that will give you more information on each stop and you will find links in this article for each destination we visited. The purpose of this review is to give you an easy overview of what we saw and our impressions, which we hope will help others when visiting these countries. We will only touch on the high points of our trip and do some of the leg work for you. 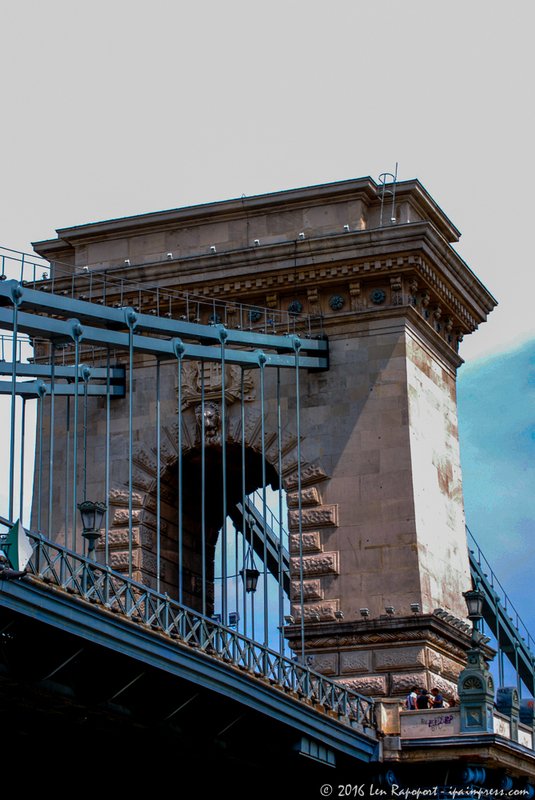 I have included a ton of links to many good Budapest sites that will give you more information on the places we visited on our trip. You can click on some of the photos in this articles and of course the links included to visit many of these sites. Frankly, we always look on the web prior to any trip we take, so we have some idea of what we want to see before we go. 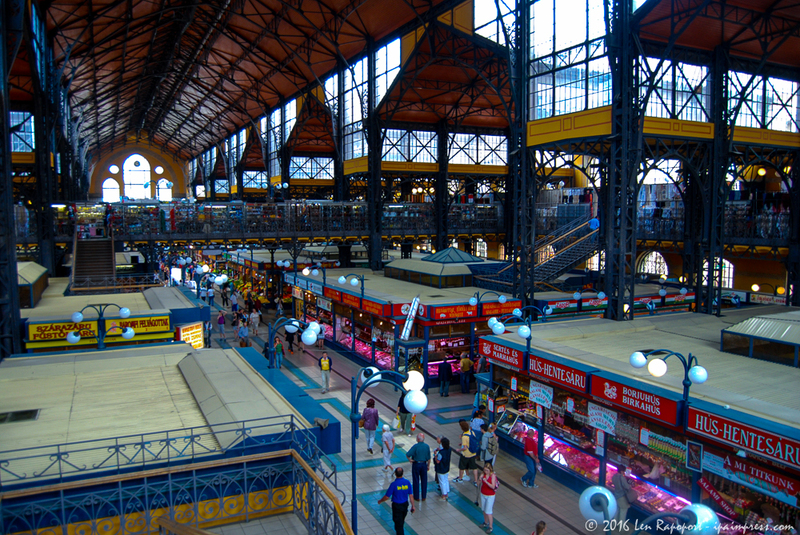 In Budapest we wanted to see the Danube, the Royal (Buda) Castle (Palace), Fisherman’s Bastion, the Chain Bridge, take a river boat up the Danube, visit their incredible Great Market Hall located at the Pest side of the Liberty Bridge. 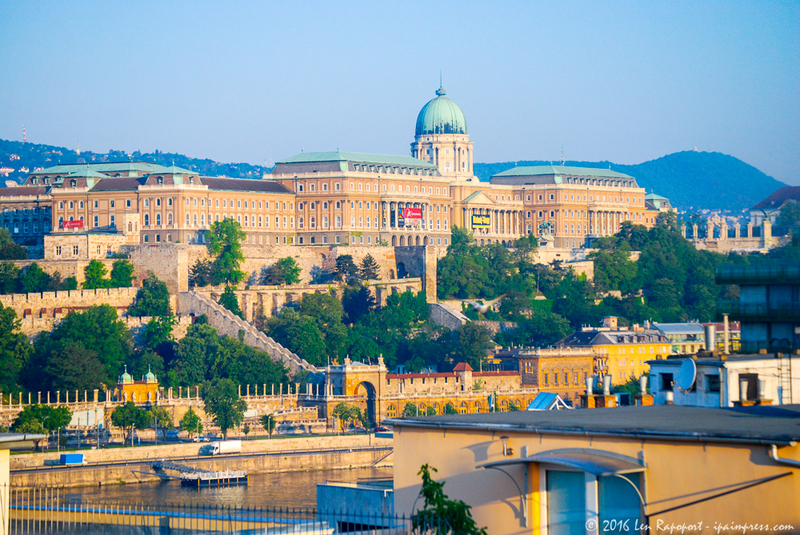 Be prepared to do a lot of walking and on the Buda side and pack comfortable shoes because there are many cobblestone streets and lots of hills so you better be in shape before you go. Budapest is a beautiful city and the views from the Fisherman’s Bastion look-out terrace, over the Danube, is incredible. Built for the 1896 millennium celebrations, the Hero’s Square is one of the most visited sites of the Hungarian capital, it is situated in front of the City Park, at the end of the Andrássy Avenue, one of the most important streets of Budapest, a World Heritage site. the last couple of years, the two museums have been competing for the attention of visitors with high standard temporary exhibitions, such as Van Gogh, Rembrandt and the collections of Spanish and French paintings. One of the best places to buy souvenirs and other typical Hungarian gift type things for family and friends.At the top floor of this interesting building is where you find the biggest selection of hand made Hungarian craft gifts. Also, on the ground level of the Market is a little store with a surprisingly large selection of international foods. I tried some Kielbasa, french fries and a sweet red pepper stuffed with sauerkraut and it cost me about $15 USD. Expensive and not as good as the New York Kielbasa I am used to. Built in 1859, the Dohány Street Synagogue (Hungarian: Dohány utcai Zsinagóga), also known as the Great Synagogue, in Budapest is Europe’s largest synagogue and the second largest in the world (after Temple Emanu-el in New York City). It can seat up to 3,000 people and is still in active use by Budapest’s Jewish community. We were invited to take a delightful one hour daytime sightseeing cruise on board the Duna Bella. 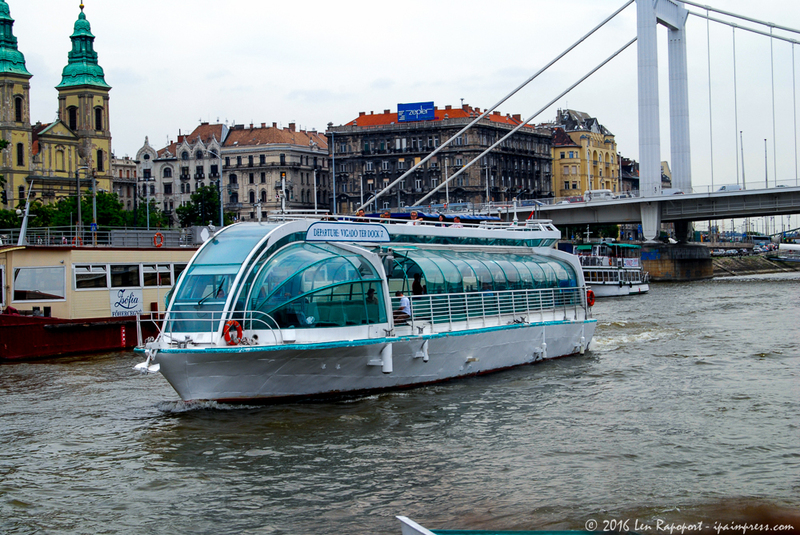 We sailed on the Danube between the shores of Buda and Pest stopping on Margaret Island. We enjoyed a couple of glasses of complimentary wine and enjoyed the narrated cruise which offered us many photo ops. A must do when in Budapest. We loved Budapest and the weather was wonderful, perfect spring weather. We enjoyed going out each day and walking, walking, walking. I was lucky that I had trained for weeks before our trip by taking my dog for long and fast walks. This type of trip is not for those that tire easily. If you are not able to walk the streets to see the sights, then opt for one of the many tours that take you to each place you visit or some of the boat tours that run up and down the Danube. Since I love to have the freedom to take my photos, I prefer this type of trip. I want to spend as much time as needed at each spot I visit and can’t deal with rigid schedules. • Take photo copies of your passports, credit cards and other important papers you might need with you. This will help if your wallet or passports are lost or stolen. • Call your credit card companies and your bank to let them know you will be going on vacation and to mark your records so there is no problems should they see charges on your account from those countries. I did this and my bank still messed up, so don’t assume anything, take care of all of this before you leave. • Internet access can be quite expensive ($40 per day or more at your hotel), so be prepared to visit some internet cafe’s while overseas. We used Skype to make calls to the United States at a cost of less then 2¢ per minute. If you don’t have a Skype account now, get one. It is free and you will be able to make calls to land line or mobile phones at a low cost. No cost from your computer to any other computer as long as you both have Skype installed. • Make sure to bring a good voltage converter so you can charge your camera, video or computer batteries each day. I brought two with me that converts 220V down to 110V and both burned out after a few hours of use. I was happy to find out my hotel had a heavy-duty unit that they lent me at no additional cost (everything in hotels usually have a cost). This unit was the type that can be used 24 hours each day with no strain. • Take some food with you from back home, just in case you find yourself too tired or too confused to pick a restaurant at the end of a long day. You also may be a fussy eater as I am and may not like the food in the country you visit. We took a large bag of Trail Mix and lots of other goodies with us and this saved us on a few occasions. Also make sure to eat a good breakfast and try to catch a late lunch if you can. • Do some research on the country and customs of that country before you leave. Have a plan, one that can be modified once you arrive if necessary. Make some plan for each day before hand and make a list of what you want to see. This way you can do what the expensive tours do, have a list of the important places to visit and some idea of the time it will take to visit each. This will of course change once you arrive, but any plan is better then no plan. • Make sure to buy the daily transit tickets in these countries if available. They will save you money and enable you to come and go anywhere in these cities safely. If you forget to buy the ticket and board a train without one (they use the honor system) you could be stopped by a transit inspector and receive a very costly fine that you may have to pay on the spot. Don’t take a chance, buy the daily tickets or 3 day tickets if you are going to use them. For more tips, read the other articles coming soon on Vienna and Prague. In the meantime please enjoy our slide show which we hope you will like. We had to really shorten this one, there were so many excellent shots.